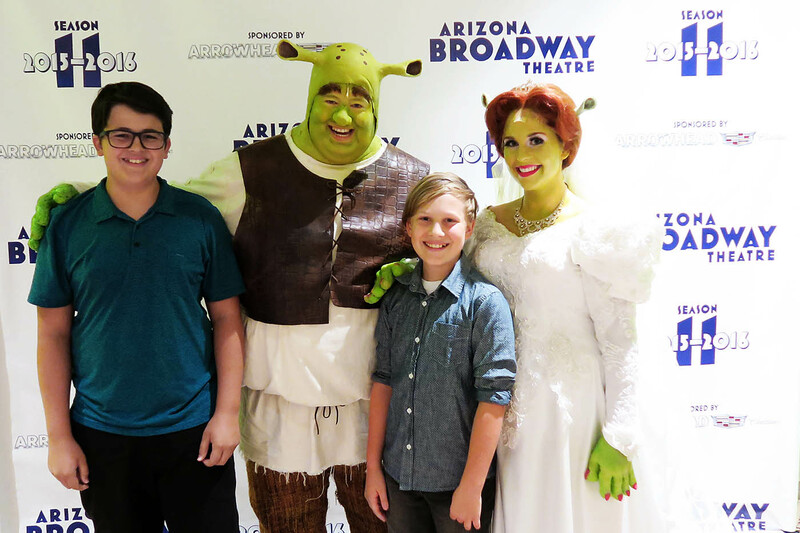 We went to Arizona Broadway Theatre last night to see Shrek the Musical after getting tickets from Goldstar as part of a sponsored post I did for them on All for the Boys. I really do love their site because they have GREAT prices on events like concerts, plays or some attractions like aquariums or museums and you don’t have to weed through a bunch of products. Anyway, we were excited to see Shrek because Colton rocked as Shrek in Shrek Jr earlier this year. We had been for some of their children’s productions but never for a full show and dinner. You can find the menu for their shows online and for me, they had designated which items are or can be modified to be gluten free with a check mark. 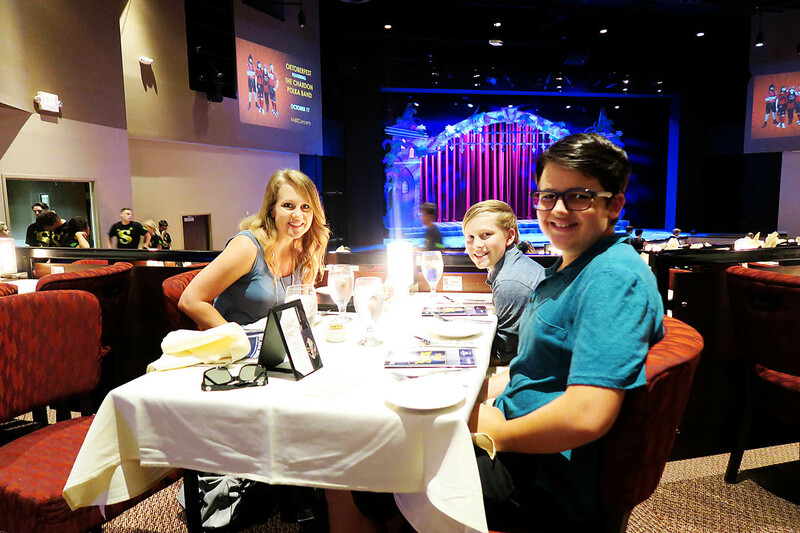 The food was good, the show hilarious and it was a much needed night out with the family. Any place the you have to put your phone away and just be together is a win in my book. We all laughed and loved the show (and the company). Next season they’re showing A Christmas Story so I’m going to keep my eye out for tickets for that one! 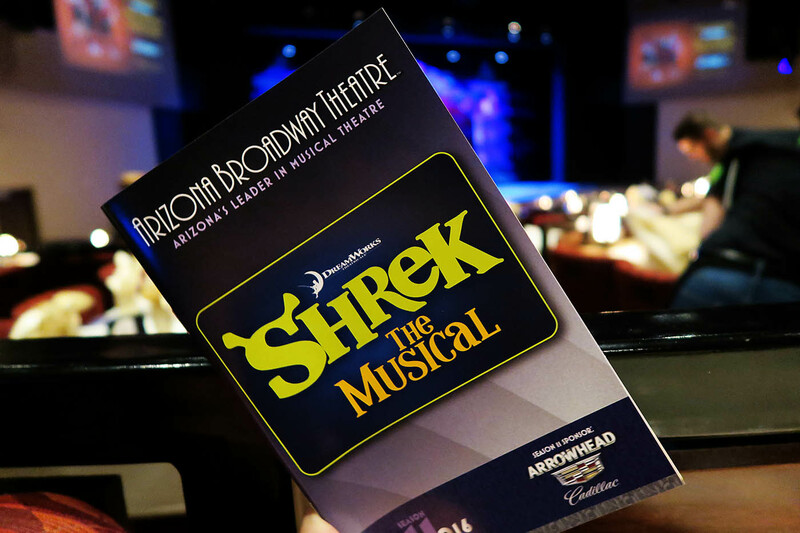 Have you ever been to Arizona Broadway Theatre? It’s such a fun way to see a show – even if you’re not going for dinner you’re still buying tickets at a table so it’s a different experience than in stadium type seating. I love it! Thanks for the review. Glad you enjoyed the experience! Thanks Amy! We’ll definitely be back. Looking forward to seeing A Christmas Story later this year! Great review. My family of four is going to visit Phoenix in December and plan to watch the “A Christmas Story”. I just have a question/concern about seating. Did you guys have the orchestra seats? if so, how was the view. I am undecided if we should choose orchestra seats or the seats on the lower floor. We didn’t this time, but have sat there before. I know it’s cliche but honestly most seats are great! For this particular performance we had “choice” seats on E or F. The kids love sitting in Orchestra because you’re so close to all the action (but you can still see the back of the stage). I hope that helped! We’re planning to see “A Christmas Story” as well!